Birmingham – Acocks Green, Ashted, Aston, Balsall Heath, Bartley Green, Birchfield, Boldmere, Bordesley Green, Browns Green, Buckland End, California, Castle Vale, Cotteridge, Deritend, Digbeth, Duddeston, Edgbaston, Erdington, Four Oaks, Garretts Green, Gravelly Hill, Great Barr, Hall Green, Hay Mills, Highgate, Hockley, Hodge Hill, Jewellery Quarter, Kents Moat, Kingstanding, Kitts Green, Minworth, Mere Green, Moseley, Nechells,Shard End, Sheldon, Short Heath, Small Heath, South Yardley, Sparkbrook, Sparkhill, Stechford, Stockland Green, Sutton Coldfield, Tyburn, Tyseley, Wake Green, Walmley, Ward End, Washwood Heath, Whitehouse Common, Witton, Winson Green, Woodgate, Wylde Green, Yardley, Yardley Wood. Solihull – Balsall, Balsall Common, Barston, Bentley Heath, Berkswell, Bickenhill, Blossomfield, Castle Bromwich, Catherine-de-Barnes, Chadwick End, Chelmsley Wood, Cheswick Green, Coleshill Heath, Dickens Heath, Dorridge, Elmdon, Elmdon Heath, Fordbridge, Hampton-in-Arden, Hockley Heath, Kingshurst, Knowle, Lyndon, Marston Green, Meriden, Monkspath Street, Olton, Packwood, Sharmans Cross, Shirley, Smith’s Wood, Solihull, Temple Balsall, Tidbury Green, Whitlock’s End. We carry and dispose all unwanted materials fast and efficiently from residential and commercial properties. 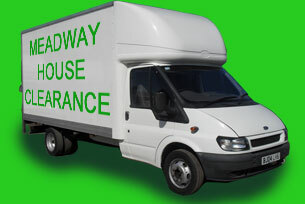 All office clearance, house clearance and general waste garages cleared, sheds, garden clearance . Just about anything as long as it can be lifted by two people and it is not hazardous. We also do complete house clearances, offices, factories, shops, yard clean ups and much more please ring for a FREE quote or ask us for more details. We don’t take Anything hazardous or any biological waste. We also don’t take Asbestos, food or medical waste. WE ALSO BUY ANTIQUES AND COLLECTABLES OR ANYTHING INTERESTING. Yes. We are fully licensed by the environment agency our number CB RM3789SS. Why can’t you give the exact price over the telephone? Our prices are based on the amount and type of junk to be removed. We are not able to give you the exact price over the telephone until we see you’re junk. When our team arrives they will an exact no obligation fixed price before any of the work commences. Do you have an out of hour service? Yes,but there will be a £30.00 out of hours fee on top of the price given. For health and safety reasons night time removals can only be done in well lit area’s. What happens to the rubbish junk waste once its been collected? Truck teams loads your junk, clean up and take it to the transfer stations and pays the disposal fees and disposal taxes. Why would I use your service rather than a skip? Because we are Cheaper and much easier then skip hire and skips don’t load themselves we supply the labour and you only pay for your waste not other peoples waste when they fill your skip. no skip PERMITS required and you don’t have to wait around for skips to be collected. We are not licensed to carry any hazardous material. Our team is also not equipped to dispose any toxic substance. We normally require 24 hours notice. 2 or 3 strong, uniformed friendly and efficient people. Our trucks have a specially designed equipment unit that carries all the necessary tools and equipment, that includes dust covers, shovels, hammers, rakes bins, brooms and bags (rubble sacks black bags garden bags etc) and of course hand cleaner.